VIRGIL HUNTER ON ADDITION OF COACH RICK: "I WAS LOOKING FOR ANOTHER COACH...THERE IS NO DISRESPECT"
In response to recent comments made by world-class trainer Kevin Cunningham, fellow world-class trainer Virgil Hunter contacted FightHype.com to set the record straight regarding Amir Khan's revelation that Coach Rick Coward, AKA The Mittologist, has joined the team. "I've been knowing Rick for awhile and I was looking for another coach anyway. What they don't know is Amir called me and asked me, while he was in New York [during the summer], if he could work with him. Because Rick knew me, Rick had him call me and I okayed that because I wanted him to keep working out. I okayed Rick to come out for a week because I'm looking for another coach at this time and he's flexible," Hunter stated, making it clear that it was his decision to bring on a helping hand to work with several of his fighters, not just Khan. "He's trying to learn the game as an understudy, so I invited him out for a week to come out and work with, not just Amir, but he's working with several of my guys and you can always use another mitt man. The Mayweather stuff that he does is just one of the things that he does. But he works under my instructions and he has followed my instructions so I can stand off apart and go to another phase on what I need to do," Hunter explained. "I don't want it to be misunderstood, there is no disrespect in my camp; it won't be tolerated. When you start having several guys, you gotta have another guy that you can depend on that doesn't have an ego and that can follow instructions and that wants to learn the game. Rick has proven solid in that department, so he's out here for four weeks, you know. It will be a determination between he and I if he would like to move to California, and I'd be glad to have him as an asset to my team. Contrary to Cunningham's belief, Hunter reiterated that he was not disrespected by Khan and has always had the final say when it comes to any changes in training camp. "Amir and his family, his father, everybody else has shown me nothing but the utmost respect and they consult with me before anything. They have given me the last word and I appreciate that coming from them. He's a joy to work with. 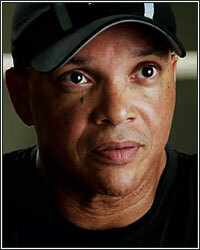 He's highly coachable, very coachable; I think even [Alex] Ariza indicated that in his article. He's very easy to coach. He's not 'I know it all'. He just wants to get better," Hunter added. "Rick is an addition to what I'm trying to do with my stable and anytime a guy has a specialty, like wrapping hands or cuts or whatever your specialty is, and he can work in harmony with the stable, then he's a welcome addition. At this point, we're working on Dre so far and we'll see how it turns out. But Amir isn't off doing this and doing that. He and his family have shown me nothing but respect and have given me the full reign of all the decisions and they consult with me on every single one. And I appreciate that."